Ghanaian undefeated boxer, future High Commissioner to Germany, and National Democratic Congress’ Social Media Coordinator, Braimah Isaac Kamoko popular referred to as Bukom Banku has declared that his loving mother thinks he is abnormal because his head hit the floor when he was a little boy. Emotionally charged Bukom Banku was answering the question of whether or not he has been acting in his right senses nowadays. The question posed to him by a fan on social media platform, Facebook, comes after the self-acclaimed African Mayweather posted several pictures and videos on his Facebook wall ‘squeezing’ the breasts of some ladies. In response, Ghana’s future High Commissioner to Germany admitted that he’s not a normal human being. According to him, his 55-year-old mother has even told him that it comes to him as no surprise when people consider him to be an abnormal person. Another fan called Esinam Atiemo then followed up and asked Bukom why he does not want to put an end to what he’s doing when he knows he’s not correct. 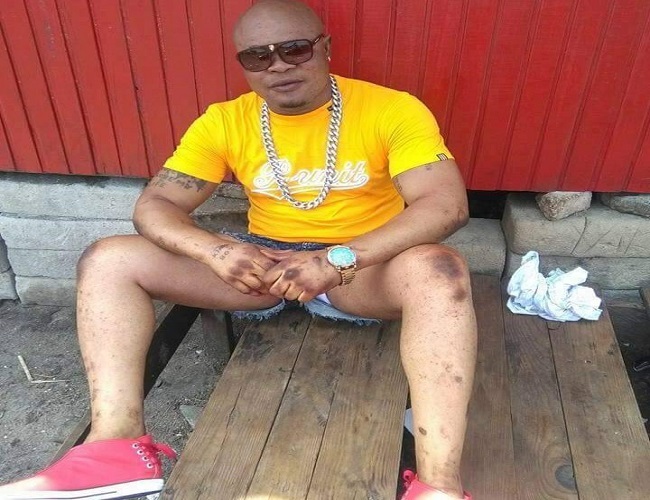 Bukom Banku, for that reason, thanked his mom for allowing him use his head to hit the floor when he was young because if that had not happened, he wouldn’t the Bukom Flesh he is today.